“Using 3D-CAD for Simulation-Based Production in Shipbuilding”. Lecture notes in Engineering & Computer Science., Vol 2182, (IMECS 2010), pp1646-1649. ISSN 2078-0958 (Print) / 2078-0966 (Online). Author: Vo Trong Cang, Vo Anh Dung, Doan Minh Thien. "Implementation of the Computerized Maintenance Management Systems (CMMS) for the Maritime Industry." Lecture notes in Engineering & Computer Science. Vol 2189. (IMECS 2011), pp 1103-1106. ISSN 2078-0958 (Print) / 2078-0966 (Online). Author: Vo trong Cang, Vo Anh Dung, Doan Minh Thien, Vu Ngoc Bich. "Modeling of Ship Surface with Non Uniform B-Spline." Lecture notes in Engineering & Computer Science. Vol 2189. (IMECS 2011), pp 1129-1132. ISSN 2078-0958 (Print) / 2078-0966 (Online). Author: Vo trong Cang, Tat-Hien Le. "Repair Interval of Locomotive Wheel Axle Based on Reliability" Lecture notes in Engineering & Computer Science. Vol 2196. (IMECS 2012), pp 1250-1254. ISSN 2078-0958 (Print) / 2078-0966 (Online). Author: Vo trong Cang, Nguyen Anh Tuan. “On Building 3D Support System in the Shipbuilding Process in Viet Nam”. GTSD 2012. Journal of Engineering Technology and Education (KUAS), vol 9, no.5, Jan. 2013, pp.423-430. ISSN 1813-3851. Author: Vo Trong Cang, Nguyen Anh Tuan, Vo Anh Dung. “Application of Numerical Simulation Techniques for Teaching Specialized Shipbuilding Engineering - Practical Demands.” Advance of Shipping and Ocean Engineering (ASOE), Mar 2013, Vol. 2, Iss.1, pp 20-26. ISSN 2306-7675 (Print) / 2306-7667 (Online). Author: Vo Trong Cang, Vu Ngoc Bich, Nguyen Anh Tuan. “On Building 3D Support System in the Shipbuilding Process in Vietnam.- From concept to deployment.” Advance of Shipping and Ocean Engineering (ASOE), Mar 2013, Vol. 2, Iss.1, pp 34-42. ISSN 2306-7675 (Print) / 2306-7667 (Online). Author: Vo Trong Cang, Vu Ngoc Bich, Nguyen Anh Tuan, Vo Anh Dung. “3D Simulation-based Support Systems in PLM Solution for Offshore and Marine Industry - Which Way is for Vietnam’s Shipbuilder ?” Marine Engineering Frontier (MEF) Vol.1, Iss.4, Nov. 2013 (pp 82-89).ISSN 2327-722X (Print) / 2327-7653 (Online). Author: Vo Trong Cang, Vu Ngoc Bich, Nguyen Anh Tuan. “Feasibility Study on River Bus Systems in Ho Chi Minh city”, Int.J. Engineering Research and Applications (IJERA), Vol.3, Iss 6, Nov-Dec. 2013. pp 45-52. ISSN 2248-9622. Author: Vo Trong Cang, Nguyen Anh Tuan, Vo Minh Phuc. “An Assessment of MSC Solutions for Ship Structural Design and Analysis”. International Journal of Mechanical Engineering and Applications. Special Issue: Transportation Engineering Technology. Vol. 3, No. 1-3, 2015, pp. 47-53. Author: Hung-Chien Do and Vo Trong Cang. "Transportation Engineering Technology - A review", International Journal of Mechanical Engineering and Applications. Special Issue: Transportation Engineering Technology. Vol. 3, No. 1-3, 2015, pp. 76-79. 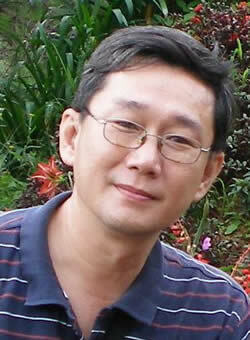 Author: Vo Trong Cang.